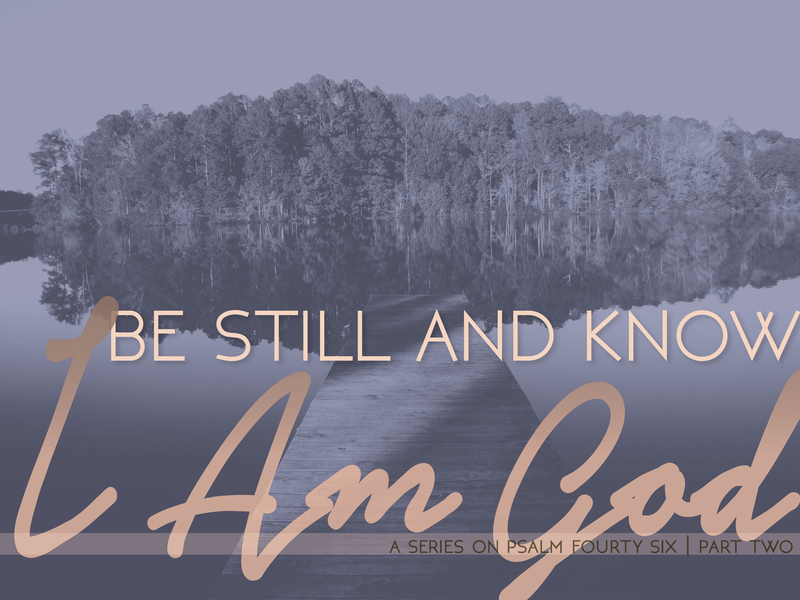 Continuing with our series on Psalm 46, and specifically looking at the first part of verse 10. “Be still and know that I AM God.” I want to look at two words in this verse “Be Still”. There are two different translations that we find, and two ways to look at these words. Literally what this text is saying is that we must not strive against God. We obviously know that this is stupidity and we would never directly oppose God Almighty. But what about murmuring against God? We have all been guilty at one time or another of complaining or murmuring against God. We don’t have to look further than the children of Israel during the Exodus to see how much their murmuring cost them. Who are we to complain or murmur to God about what He is doing? We would never call it murmuring, but when we gossip about His church, the Body of Christ, we are murmuring against God. We don’t like what God is doing, but we blame it on someone else, we complain about the younger or older generation, we complain about the Deacons or the Pastor, but what if we are complaining about God’s servants, when in reality, God is answering our prayers for revival but we just don’t like the way in which he is going about it. When you are tempted to complain and gossip, why don’t you stop and pray, and ask God what He is doing? You may find that He says to you, stop striving. The Prophet Habakkuk complained against God, and God put the world in perspective for him; “The Lord is in his holy temple; let all the earth be silent before him.” Habakkuk 2:20. The fact that He is God, is sufficient reason why we should be still before Him. Not complaining or murmuring in any way, but calmly acknowledging who He is and submitting to Him. But there is another way of interpreting this verse and that is the way the NIV puts it; “Be still and know that I AM God”. Literally we need to be still. Last week we dealt with the way in which we so easily get trapped in fear as we look at our television news or the world around us. The world we live in is a crazy place. Never before in all of history have we had so much information available to us at the push of a button. But this leads to a situation of information overload and a short attention span. We live in the digital age, whether we like it or not. And the result is a tremendous increase in stress related ailments. Our news is often boiled down to 140 character headlines in twitter, or poorly written text messages. This digital age has had a dramatic effect on our personal spiritual lives. The shortening of the ability to focus, has made it increasingly difficult for people to pray. As a result many Christians are weak and easily distracted. We are unable to focus on what is really important, because we struggle to filter out that which is mindless noise. If we were honest with ourselves, we would realize that we have some kind of noise in our lives all the time. Whether it is the radio on, or the TV going all day. We have become a people who are afraid of silence. Silence terrifies us because it is in the silence that we have to confront ourselves. We are so inundated by bad news and mostly irrelevant news that we forget about the good news of the Gospel, we forget that Jesus came to set us free from the world and its treadmill. 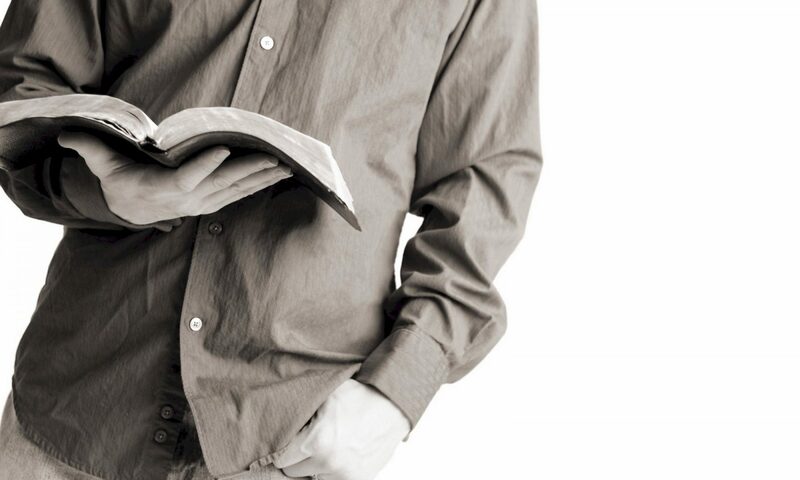 If you do not have a daily time with the Lord, you are probably not growing as a Christian. You come to church on a Sunday for a boost and a word of encouragement to keep you going, but then you slowly slide back as the week progresses. I cannot stress enough the importance of spending time alone with God in silence. Oswald Chambers wrote in 1936; “Solitude with God repairs the damage done by the fret and noise and clamor of the world.” If he felt that in 1936, how much more do we have to contend for that solitude with God? What I am talking about here is discipline. The discipline to slow down and hit the off button. This is a fight for our survival, the church is filled with weak Christians because we do not take the discipline of prayer and solitude seriously. This is not for the few, this is for all who identify themselves as followers of Christ. Read what Jesus said in Matthew 6:6; Jesus doesn’t say, if you pray, but when you pray. It is imperative that prayer be a part of your daily life. Then Jesus said, go into your room – we need to establish a place for prayer. Find a regular place where you can meet with God each day, Jesus goes on to say, close the door. Close the door on the world, that also means for us, don’t take your digital devices into your prayer room. Take a bible, a journal and a pen. Leave the world outside and spend time with God. When Moses came down off the Mount Sinai after receiving the law from God, we read that his face shone, because he had been in the presence of the Lord. When you leave your home in the morning, do the people you meet know that you have been with Jesus? They should..
Let us learn what it is to once again be still and know that He is God. Howdy very nice blog!! Man .. Beautiful .. Superb .. I’ll bookmark your site and take the feeds also…I am satisfied to find a lot of helpful info right here within the submit, we’d like work out more techniques on this regard, thank you for sharing. . . . . .